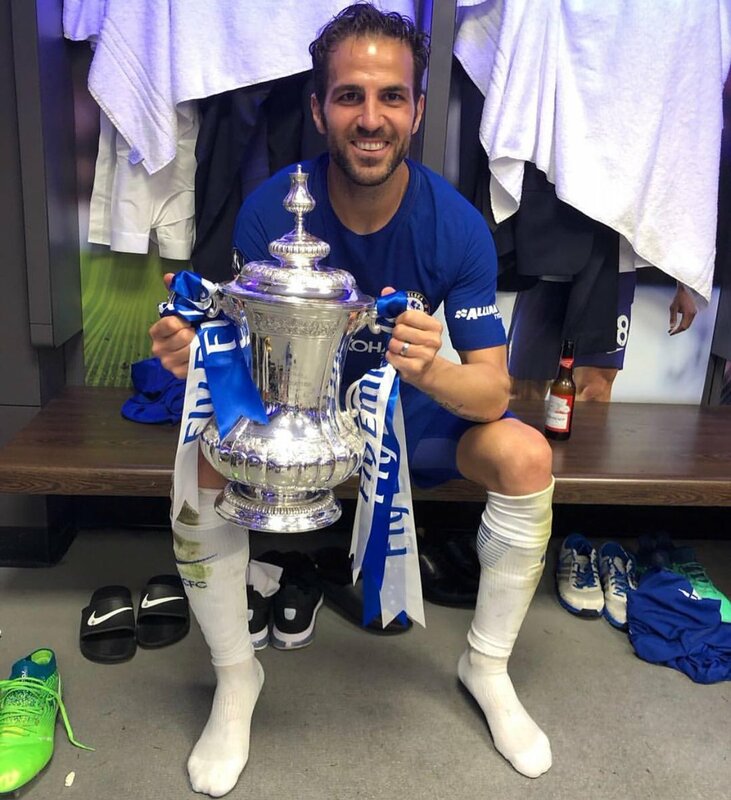 Spain international Cesc Fabregas has admitted that he did not get the opportunity to celebrate his maiden Premier League goal during his time at Arsenal. The Spain international was recently handed a milestone award after netting his 50th goal in the English top-flight and during the interview, he revealed as to why he could not celebrate his debut strike. He said:"I remember [my first goal]. It was from a corner. I think Gilberto Silva headed it into the goal, and I was just there, doing I don't know what. At the beginning I didn't know if I'd touched it when it had already crossed the line or not. So everyone was going to Gilberto to celebrate! "But then at the end of the game they told me it was my goal so I was happy. It's a nice mark, 50 Premier League goals. I'm very proud of it and hopefully there are a few more to come." Fabregas started his career in a central midfield position with the Gunners but after a couple of years, he was drafted into an attacking role where he found the scoresheet with a better regularity. The Spaniard thereafter left the Gunners in 2011 for a three-year stint with hometown club Barcelona but he has since returned to English shores to ply his trade for Chelsea. Barring the first half of the 2016/17 season, Fabregas has managed to command a regular starting role whenever he has featured for the Blues, but his long-term future remains a topic of question. Fabregas has not been able to constantly produce from the centre of the park over the past 12 months and the club are yet to sort out his contract, which expires in the summer of 2019. Chelsea have a strict policy of offering one-year extensions to players aged above 30 but Fabregas is supposedly aiming for a two-year deal at the least.